While Ruben Hernandez-Nunez might not have been found guilty by a court of law, he was previously arrested and ordered deported. But our justice system, the same one that burdens us with red light cameras and speed traps to collect your money, allowed a criminal alien to bond out and thus never show up for his deportation. In this case, it meant that a 10 year old girl was sexually abused by him. The judge that allowed him to walk in 2013 should be arrested as well. An undocumented immigrant was arrested for sexual assault of a child under the age of 14 and for tampering with government documents. 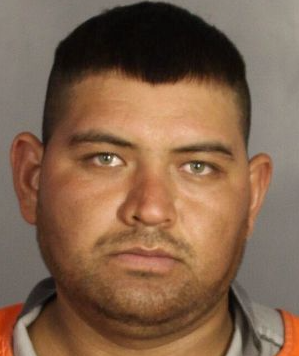 McGregor police said 27-year-old Ruben Hernandez-Nunez was arrested after a 10-year-old girl made an outcry to them. Police said the abuse occurred over the last couple of weeks. Hernandez-Nunez also has a criminal record. He was first arrested by a different agency in May 2013 for criminal mischief. It was determined at that time he was in the country illegally. He was sentenced to 5 years in prison, but an immigration judge allowed him to bond out. He was never deported. Hernandez-Nunez is in the McLennan County Jail with a $255,000 bond. Read more….